The Italian leading brand in the world of high quality Espresso coffee. Another brand we tried this last month was Pellini, in the capsule format. We can't help but be impressed by the flavor, which really is an authentic Italian taste, something we find hard to replicate from some of the capsules on the market. Pellini has seen a strong and steady growth as a brand, and now are considered one of the most important Italian coffee roasters, with their most popular product 'Pellini Top' being the reference point for premium espresso coffee in Italy. Pellini put all their experience into every coffee they make: it's all part of their commitment to bringing authentic coffee culture to homes and cafes all over the world. Quality and flavour are at the heart of every one of their products, and distinctive components of every blend. Everything begins with the selection of the finest Arabica and Robusta beans, which are roasted separately to bring out the best of their flavour and aroma. The beans are then skilfully blended and ground to the degree required by the brewing method (moka, espresso, percolator, capsules, pods). 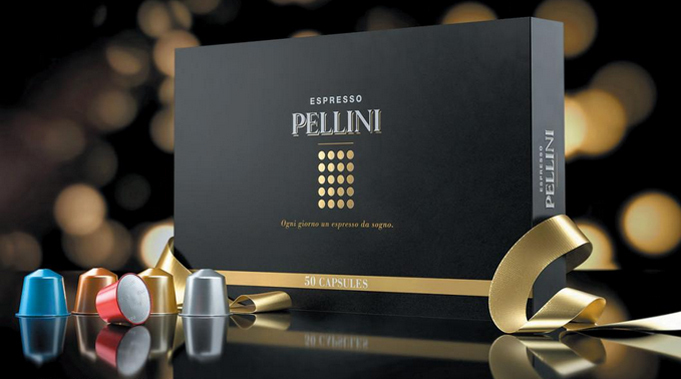 With coffee pods being bought by one in seven homes (as reported in 2016), stocking a great quality and luxury coffee capsule is very worthwhile - and if you're looking for a great quality j— Italian coffee, Pellini should definitely be a contender.